If you want friendly and professional cosmetic dentistry in the Troutdale area, you can place your trust in Gary Cooke, D.M.D.. He will consult with you about your problem teeth and all that our dental practice has to offer. Ask us about veneers and teeth whitening and how we can maximize your dental insurance. We also provide dental implants. Contact us at (503) 665-6166 today for Troutdale area cosmetic dentistry at (503) 665-6166 to get your delightful, winning new smile. Or you can complete the online form for quick scheduling. At Gresham Dental Excellence, we're ready to transform your smile! Troutdale area restorative dentistry at Gresham Dental Excellence can produce natural-looking results. If you have a damaged or missing tooth, we can help. If you're looking for a highly-trained cosmetic dentist in County you've come to the right place. Dr. Cooke offers cosmetic dentistry that County residents depend on for the highest quality dental care. This can also occur as the result of receding gums, a common symptom of gum disease. 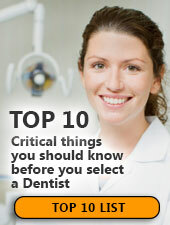 If your teeth are sensitive, please call Gresham Dental Excellence today at (855) 317-9971 to schedule a consultation. At Gresham Dental Excellence we recommend that you rinse your mouth with water after consuming any of these stain causing food, or use a straw to sip sodas and iced tea. Please call us at (855) 317-9971 if you have any questions about foods and your dental health. Saliva is the body's self-cleansing mechanism. It helps remove food, debris, and plaque from the tooth surfaces, protecting you from oral diseases. It cleans your teeth and neutralizes acids, which prevents tooth decay. People who have dry mouth are very susceptible to cavities, especially on the roots of their teeth, so please call us today at (855) 317-9971 to schedule a consultation with Dr. Gary Cooke.